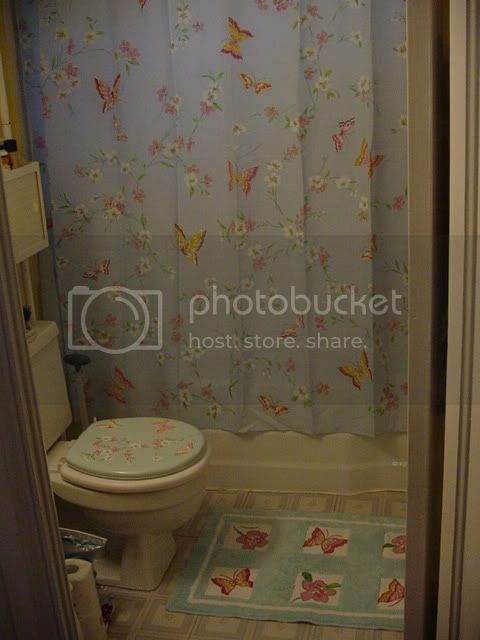 I redecorated my hideous bathroom. What you cannot see in this lovely photo is the solid navy blue shower curtain that was hanging when I moved in. 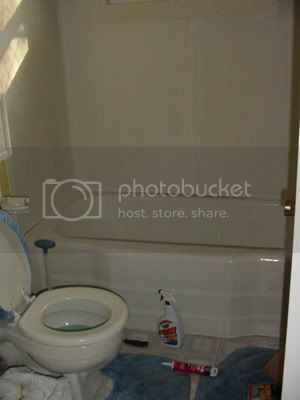 Please keep in mind that I got this placed furnished, and am not actually responsible for the grubby fuzzy thing on the toilet lid, nor the matching fuzzy things on the floor. Yes, my toilet lid matches my shower curtain. I needed a new toilet lid anyways.